What was the scariest moment of your life? Winter. An all-day snowstorm. Coming home from work, I crested the top of a steep hill, the one with the tight curve, and discovered firemen setting out flares because of a bumper-to-bumper accident. I hit the brakes only to find the pavement iced over. I skidded into the other lane, straight for an oncoming vehicle that was also slipping, sliding, and slowly swerving side to side as it tried to climb the hill. The upshot is that my mind went into hyper-mode and time slowed. I had those split seconds, which seemed like minutes, to decide my fate. The choices were to try to avoid a head-on collision or die. But there were two alternatives. The first was to swing the wheel and head my truck to the right, and into the cars of the bumper-to-bumper collisions. The second was to aim for the left where the blanket of the day's two feet of snow offered a cushion for impact and a garage—if I got that far. My decision was to swerve the truck left. Better to hit a building than kill a person. I turned the wheel. The truck skidded left. 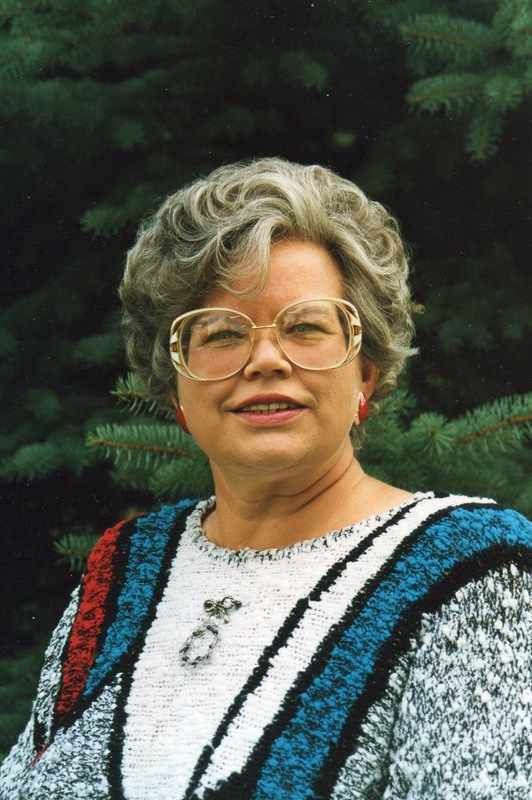 To this day, I believe an angel rode the bumper of my truck because the truck did a spin, going backwards down the hill, swerving, missing the upcoming car, swinging wide of the bumper-to-bumper vehicles and came to rest on the berm, pointed downhill and only feet from where I needed to turn onto my road to home. As I sat dumbfounded and staring at the roadway trying to process what just happened, and realizing I was unharmed and my truck unscathed, a fireman came up to my truck. I lowered the window. The man said, "That was some driving." I never told him that once the truck began to spin I had let go of the wheel. I was not in control of that truck! I have always wondered about the hyper-mode the brain goes into when danger strikes and am curious if others have experienced that. If you have, please leave a comment.
. . . revision is a process . A logical, straightforward process where you don't try to find and fix everything at once. Instead, you break the monumental task into component parts and focus on only an item or two at a time. Okay, so the reality is that creative people, especially writers, hate logic and straightforwardness. And it's a fact that logic and creativity have always been at war with each other. After all, creativity gives a writer a high like no other. It's the fun part of writing and storytelling. Here's something I've learned about writing and self-editing—a writer should find a middle ground. That means having the logical part of one's mind work with the subconscious imagination (the creative self). It's about adopting a different view of self-editing—calling it a process—and diligently organizing that process into small steps that can easily be done. This gives a writer confidence that they have polished their story and increased its marketability. That's because the writer not only tailors a one-of-a-kind process but they also develop their own revision master cheat sheets. As a result, the creative subconscious (the imagination) becomes aware of the pitfalls and glitches that must be checked for, and subsequently, little by little, the creative self dishes up better first drafts with far fewer errors. Thank you for dropping by this morning. The tour is winding down, this being the next-to-the-last stop. It has been an interesting experience, and I have enjoyed interacting with those who left comments. I wish you luck in the drawing. Have a great day! Thank you for featuring my guidebook for writers today. I'll drop by periodically throughout the day to chat with commentators or answer questions on self-editing or writing fiction. Enjoy your day! My scariest moment also happened on a highway. Rain pelted down and truck and car traffic was bumper to bumper going 75 on I-95 south of Washington D.C. The exit to Richmond, my exit, came up on the left. The eighteen- wheeler in front of me stopped suddenly and I slammed on my brakes, stopping a foot from his back bumper. The car behind me stopped in time. But the tractor-trailer flatbed behind him didn't. He swerved to the left-side berm and came to a halt level with my rear wheel. I burst into tears from relief, thankful that God had saved me and my passenger from what would have been a horrific wreck. I just loved your excerpt and cover. I've had a hyper-brain event, but it wasn't my scariest moment. I volunteered to sand my husband's truck fender so he could repaint rusted spots. He attached a sander to his drill, handed it to me, and walked back into the house. Leaning over, I sanded away. In my peripheral vision, I saw a strand of my longer-than-shoulder-length hair fall beside the drill. In super slow motion, I watched the hair wind around the drill. "Take your finger off the trigger switch," I ordered myself. I pulled my finger off, and time sped to normal. The drill banged against my head -- hair tightly wound. Your scariest moment tops mine - I had no passenger, it was just me, alone. Blessed be Divine Interventions. Thank you for stopping by today and sharing. Many thanks for dropping by and commenting. I wish you both luck in the raffle and with your writing and self-editing endeavors. Have a sunny day! Thank you for dropping by and reading the post. 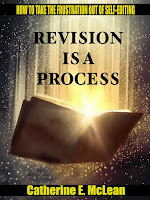 As to Revision is a Process's cover, well, it hints that there is magic in self-editing. And there is, it's the magic of getting the words right so the words enthrall a reader and help them form a movie in their mind. Have a great day! I'd still call that hair-caught-in-drill a scare and a half! I always thought that the mind going into an overdrive state was the usual thing to net survival, or at least to minimize damage to life and limb. It would be several years after my truck-spin-about that I would learn many people don't. Something to do with the flight, freeze, or fight response. Thank you for stopping by and sharing. If you entered the raffle, good luck to you. Have a great evening! Nice of you to drop by today. I wish you luck in the raffle! As this day draws to an end, I thank all who stopped today and left a comment. 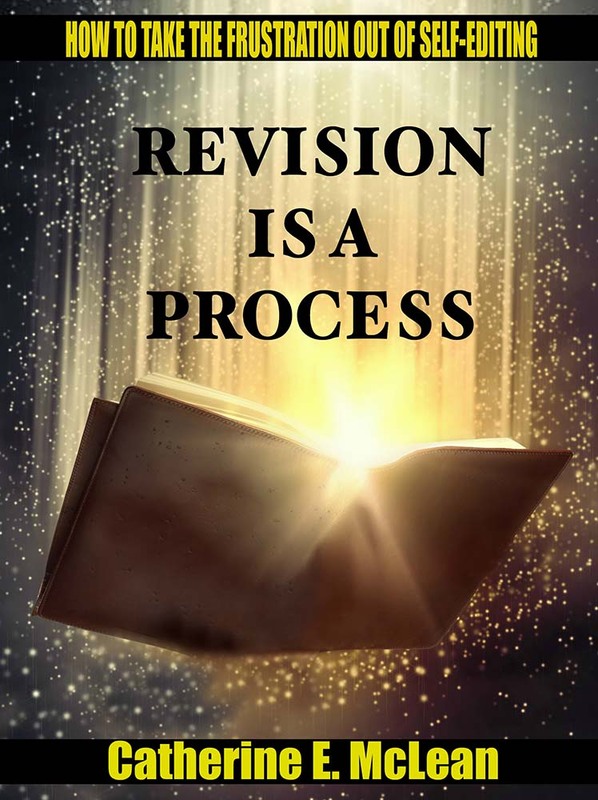 I sincerely thank you, Judy, for featuring Revision is a Process. Cheers and good night. I enjoy reading the excerpt! Thank you for hosting.